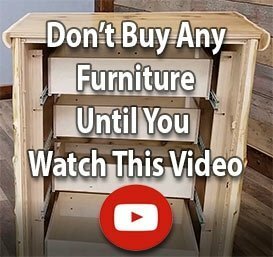 Have a taste for hickory furniture and cottage decor? Dig into our Cottage Hickory collection! 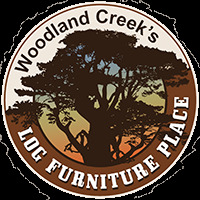 Satisfy your taste for exposed bark cottage furniture, country decor rustic furniture and fine rustic decor at Woodland Creek's Log Furniture Place. With dozens of authentic, naturally seasoned, solid wood bar furniture and dining room furniture options, we'll definitely whet your appetite for cottage and cabin decor. For starters? See our Cottage Hickory 75" Buffet & Hutch. Or the 48". At Woodland Creek's, the choice is always yours: Pair a Rectangular Log Dining Table with Spoke Back or High Back chairs. Opt for a Round Log Pub Table and Swivel Upholstered Bar Stools. And know that the natural variations in our handcrafted wood furniture make it OK to say "I'll have what she's having!" without the fear of giving your guests a less than unique dining experience.